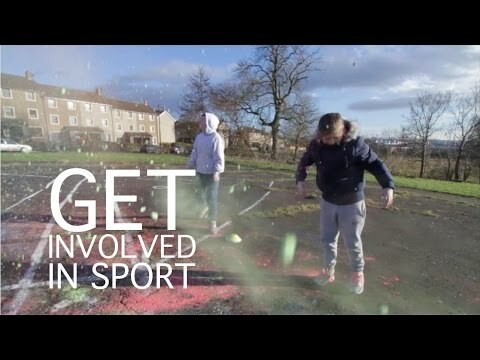 In 2014, the greatest athletes of the Commonwealth came to compete in Glasgow’s east end and it was inspiring to see this happening in our city. But physical activity doesn’t always require specialist equipment and facilities. A kick about or going for a run in a local park can be good for a person’s health and wellbeing. With Fixers, my team and I want to encourage more young people to get involved in sport by turning public spaces into places for physical activity. If people follow an active lifestyle from an early age, it’s more likely to stick with them in the future. Some of the team members on filming day: Daryl Campbell, Jacqueline Anderson and David Weir with supporter Rohanna Irvine. Thank you to Youth Development Coordinator, Rohanna Irvine, for supporting us throughout this campaign.